All dimensions shown relate to the inner diameter of the ball bearing. 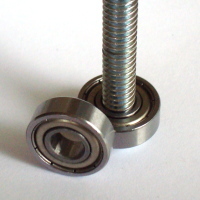 Typically two bearings are needed for each lead screws (axis). If a three axis machine is being built, six bearings will be needed. 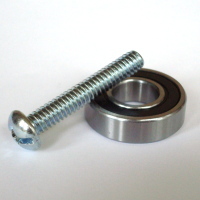 The ball bearing size will depend on the lead screw diameter. 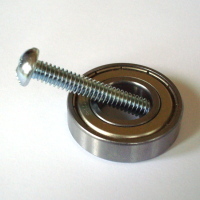 The lead screw diameter must match the inner diameter of the ball bearing. 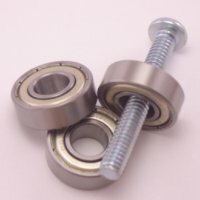 For linear motion, 5/16" ball bearings are used. Please read the conditions of purchase prior to purchasing any products offered by BuildYourCNC.com. These 20mm Linear Ball Bearing Blocks are made to fit on our 20mm Linear Guide Rails.